Adorn yourself with a pair of pearl earrings that have been carefully wrapped around in 9ct yellow gold in a creole style, with the pearls held underneath securely; perfect for adding something a bit more elevated to your jewellery collection. 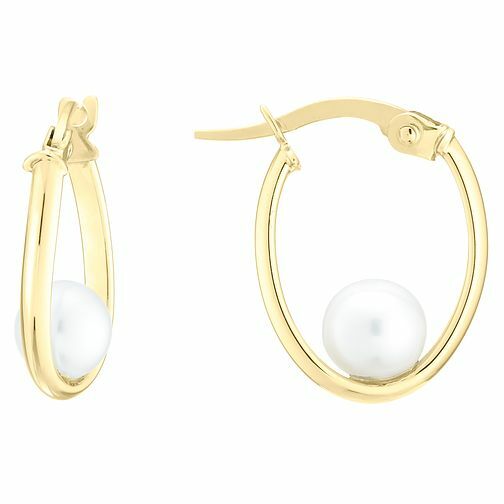 9ct Yellow Gold Oval Cultured Freshwater Pearl Earrings is rated 5.0 out of 5 by 1. Rated 5 out of 5 by Anonymous from perfect just right for mums birthday.Well presented and great quality really pleased Beautifully set pearls in attractive earrings.Creole fastening ensuring they stay safe and secure.